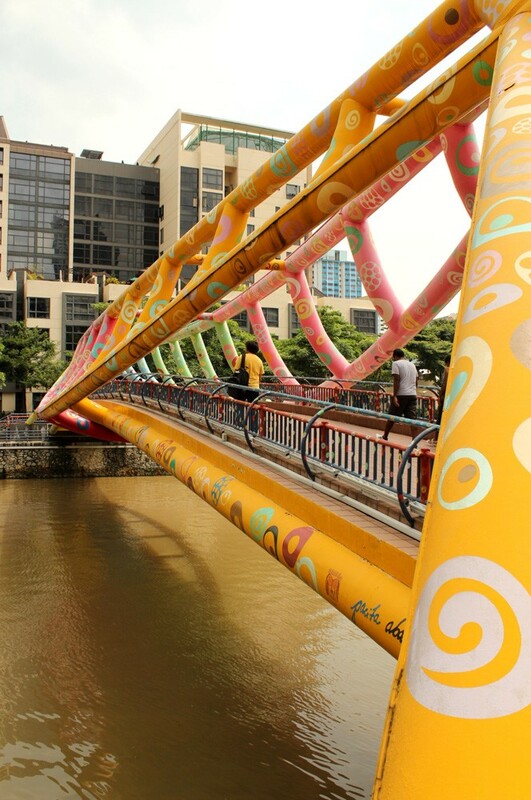 Welcome to Alkaff Bridge, you are strolling on a rainbow now. 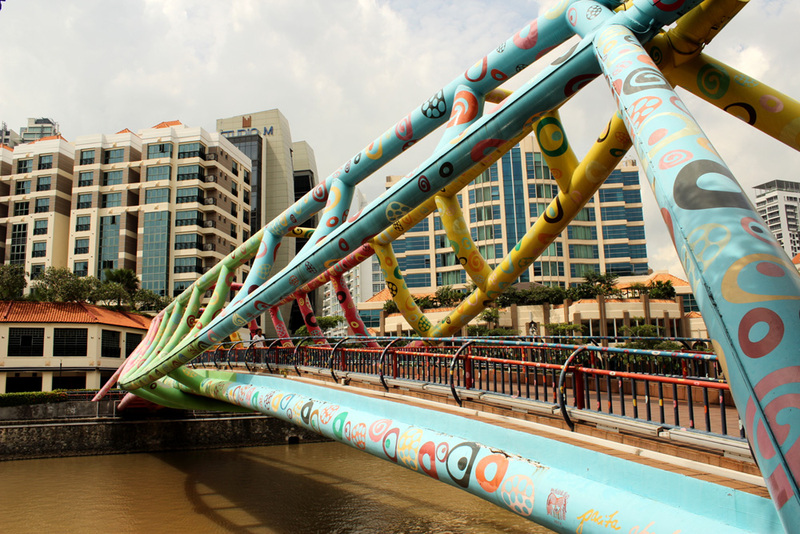 The Alkaff Bridge is a pedestrian Bridge spanning across the Singapore River in length 55m, height 35m. As the name suggested, it is related to the nearby Alkaff Quay. 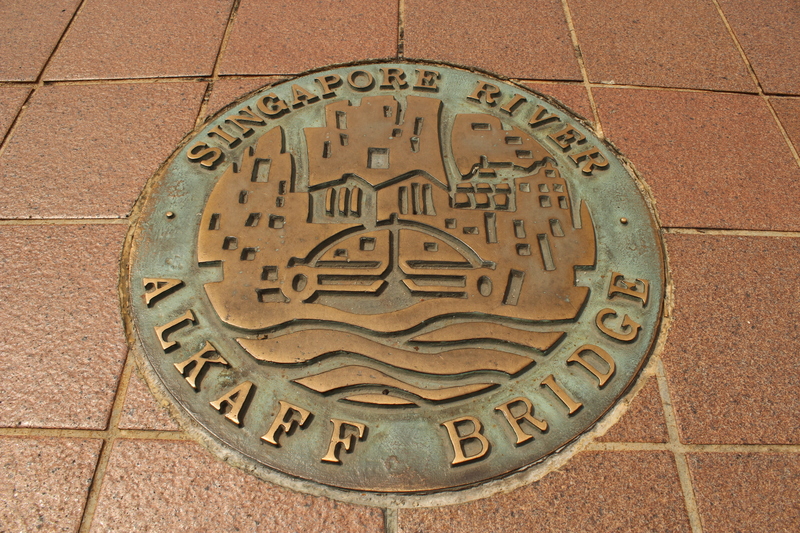 Alkaffs is also a wealthy Arab family who settled in Singapore during the early 20th century. 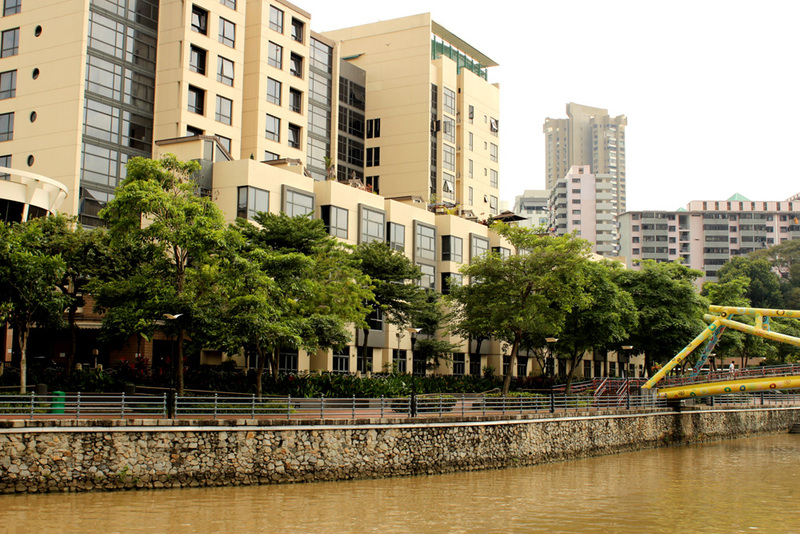 One side is connected to the “River Place” condominium. 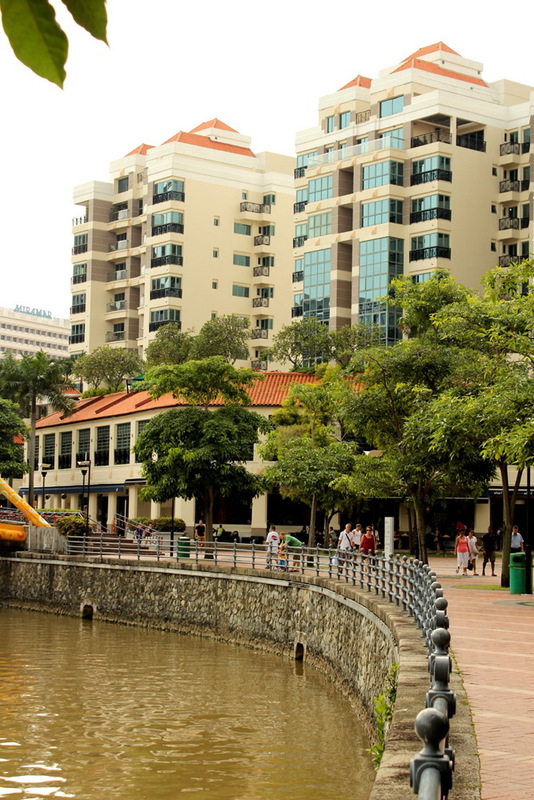 The other side is connected to “The Quayside” condominium. What a home sweet home for these estate residents! 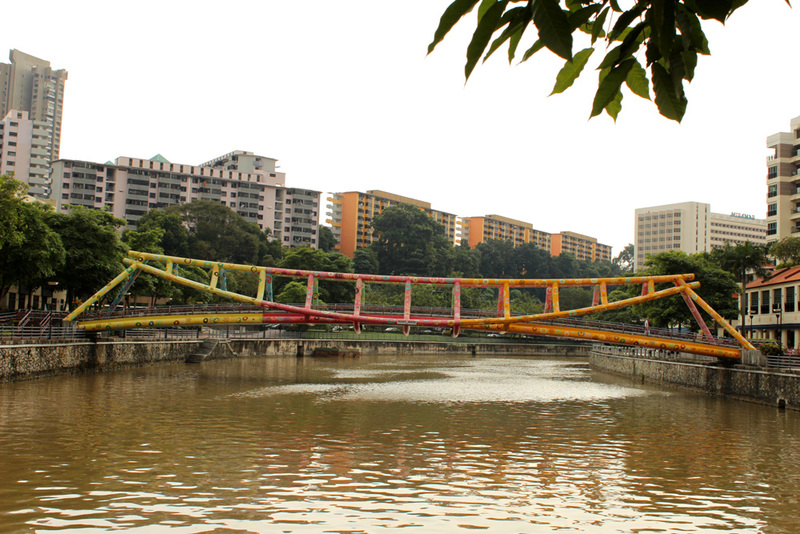 This bridge resembles a wooden boat (Tong Kang) is a gift from a lady artist, Pacita Abad (1946-2004) who transformed it to a rainbow bridge with an artist touch of joy and vibrant colors! She used 120 liters for white base paint after scraping the old paint away. And subsequently, using 630 liters for two coats of 6 base colors for this Art piece. And finally, applying 2,350 circle stencils, using 46 colors painted with hands. 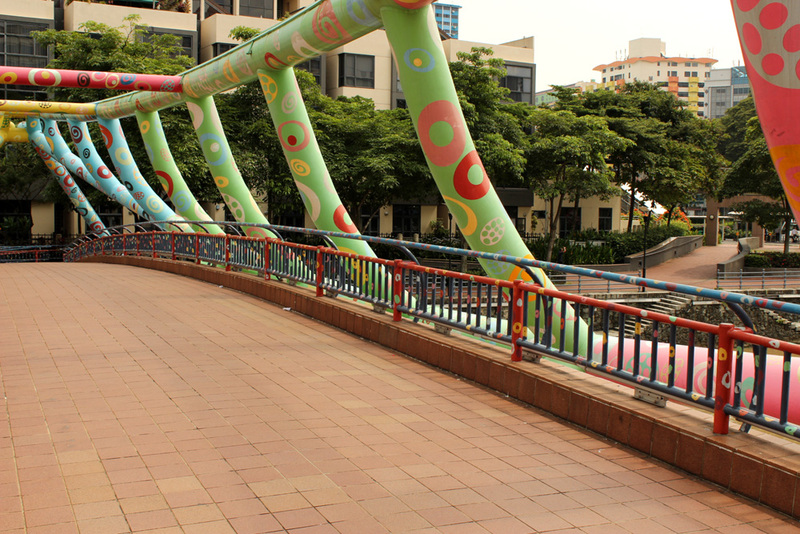 In addition to these, the railings are also full of wonderful circles. 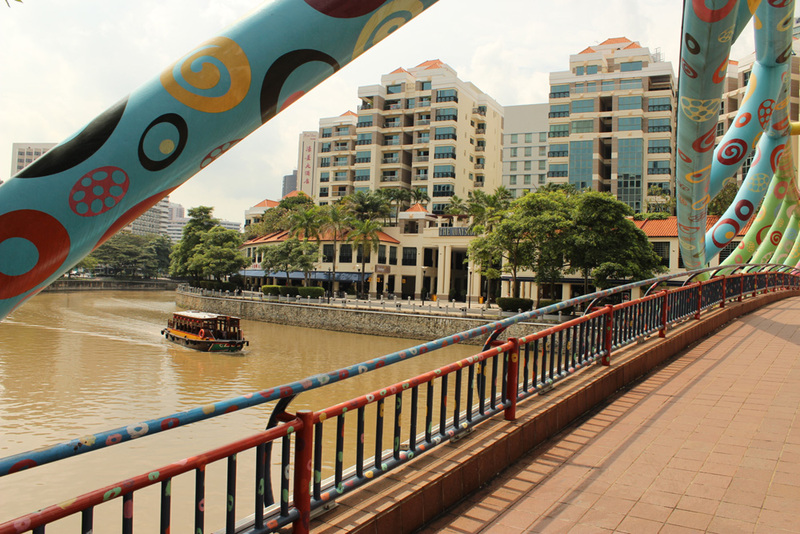 Or a ferryboat passing by here and there outside your doorstep, what else do you ask for…? 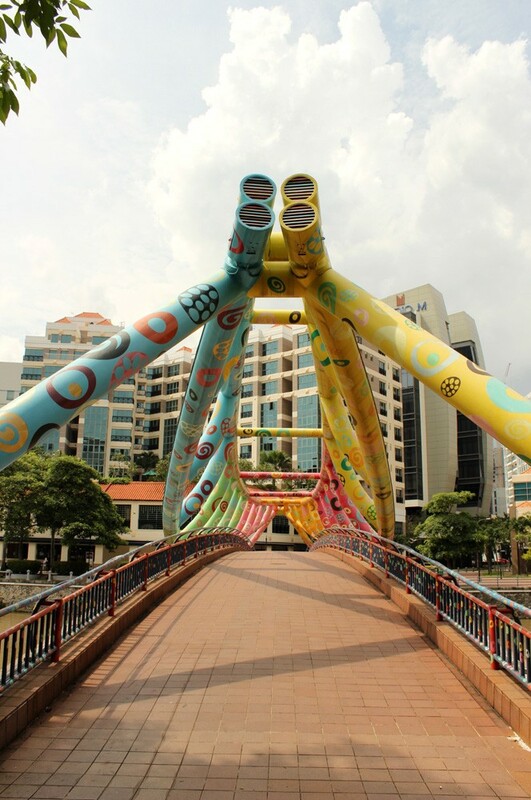 This entry was posted in Singapore Spot a Spot / 点出景点 and tagged Alkaff Bridge, life, literature, photography, postaday, Singapore River, tourist spot in singapore.